At Stathakis, we know that many southeastern Michigan businesses are dealing with reduced and even razor thin budgets in your facilities. We also know that the last thing you need is your janitorial company causing problems, creating issues and generating extra work for you. After all, the entire purpose of outsourcing janitorial services is to reduce your workload not add to it. As the budget constricts, the number of things you have to do balloons. Aside from supervising your facility, it is likely you are in charge of lease management, managing space and people, as well as understanding all the pertinent regulations that go with those tasks. Not only do you have to go above and beyond, but it is entirely possible you may also be required to figure out how to do all of this more effectively on a significantly reduced budget. Juggling more objects at an increasing speed, it would seem, is no longer just a circus act. The metaphoric hole in your budget isn’t going to go away. In fact, increased competition and economic pressure may actually make it larger as businesses try to go farther on less. While this may not be bad news for you, your job as Facility Manager is likely becoming, if it hasn’t already, a lot more complex and demanding than previously. That being said, challenges and competition in industry is what drives the American economy and just like other businesses, the janitorial industry is changing to meet the needs of an evolving marketplace. Working with less, professional janitorial companies and suppliers are working to cut down on waste and optimize processes to work cheaper and more effectively. Now the task for you as the Facility Manager is finding which commercial cleaning provider is going to do this best. While the current climate may necessitate working leaner, it is a sink or swim situation for a lot of companies. Partnering with a commercial cleaning company that approaches these challenges with a plan and action to back it up is what will lead to a successful partnership. "How can we use janitorial industry innovation, products, equipment & processes to better meet our customer's needs? You can’t just ask your commercial cleaning company to start Smart Cleaning and expect the problem to be solved. If only it was as simple as asking our service providers to do better work for cheaper right? Many companies don’t have the capability to further optimize their cleaning practices and asking them to do more for less is a great way to create problems with the work that they do. Smart Cleaning means that you need to sit down with your janitorial cleaning company and discuss which services are important and which are not while looking out how they can be better fitted to your facility. As a janitorial company, we need to know the ins and outs of your building to best customize our service for you. We need to know exactly what your priorities are and what things can be given less attention. Smart Cleaning is based on upfront communication between you and your commercial cleaning company. It is nuanced and in order to work, must be customized to your particular facility. While it may be more work, in the long run, it offers a lot of benefit to yourself and your facility. Site visits a must in order to look well beyond simple square footage in determining work and pricing. A complete review of your needs to be able to put the focus where it is needed most. A thorough understanding of your pain points, whether with former janitorial services or within your own company so we can provide solutions that will actually help you. A complete review of services and how they can be condensed and scheduled to minimize the appearance of less by employees or tenants. Leaner approaches to cleaning through improved staff training and time saving tools like Team Cleaning, where appropriate. Clear, effective communication in order to catch problems early and adjust in real time. Establishing efficiencies with the use of better, high tech equipment that reduces labor hours while still delivering effective service. It is important to remember, however, that Smart Cleaning isn’t about just doing less cleaning. Rather it is the deliberate transition focusing on the most critical services that have the largest impact on the functioning of your facility. 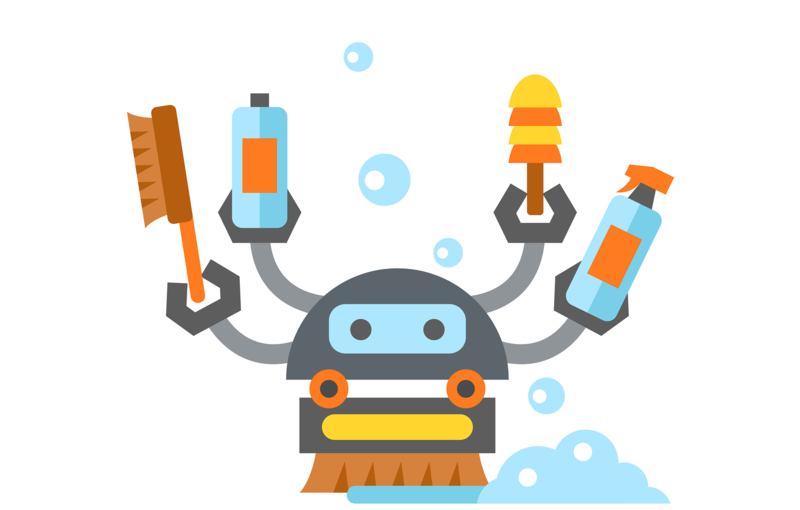 Smart Cleaning comprises the processes and implementation of targeting waste and inefficiencies by eliminating overlap or unnecessary work and taking that saved time and using it somewhere more meaningful. This is the only way a janitorial company can try reduce cost while keeping a professional, effective cleaning service. For that reason, Smart Cleaning can only be done by companies that are veterans in their industry. The amount of work and knowledge and training that goes into Smart Cleaning means that only the best of the best in the trade can make it all come together. Could your facility benefit from Smart Cleaning? Are you working with a less than ideal building maintenance budget? Here at Stathakis, we have over thirty years experience developing a standard of service and working hard to create lasting relationships with our customers and offer the businesses of southeastern Michigan the solutions and services they deserve. In a perfect world there would be healthy budgets to care for your facility without thought to livable cuts and efficiencies but we know the pressure Facility Managers are under. If you are a Facility Manager in Ann Arbor, Detroit, Royal Oak, Farmington Hills, Farmington, Dearborn, Livonia, Troy, Auburn Hills, Novi, Plymouth, Downriveror surrounding areas and you are looking for janitorial services that deliver without breaking the bank, please contact us to learn more about how we can assure you get the service you and your facility require.